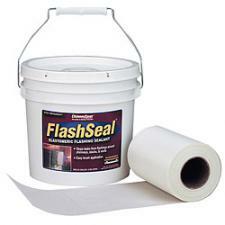 The reinforced flash seal fabric is applied between a bottom and top coat of flash seal. When this fabric is used the manufacturer warranties it for 7 years. Roll is 6" wide x 150 feet long.